A stranger in the Cherwell Valley! Chiltern Railways 168107 passes the site of Bletchingdon station on Sunday 20 June 2010 with the 1V46 14:10 Birmingham Snow Hill to Oxford service. 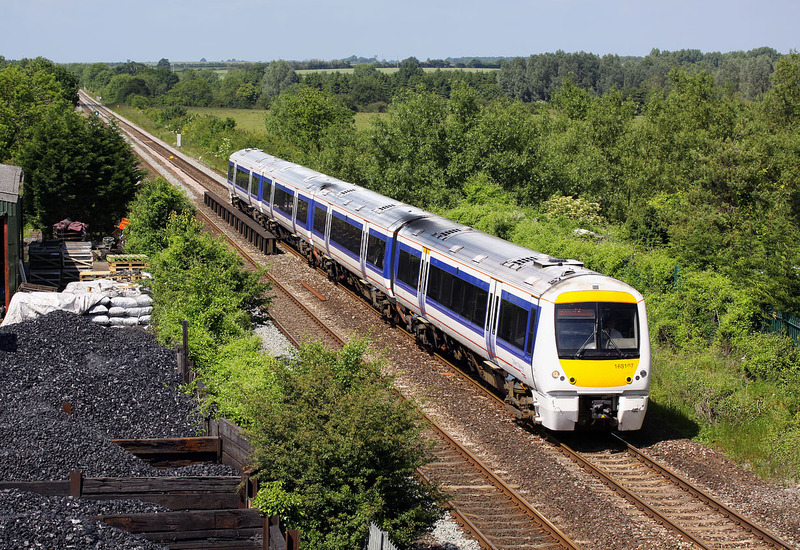 Due to engineering work on the Chiltern Line, services were diverted to run to Oxford to connect with First Great Western trains to London. The coal yard on the site of the station is obviously still doing good business.